So are these the same Sharkings we fought before, or have their stats been boosted since it's later in the game? The ATACs are the same, but I think the pilots may be a couple of levels higher. As we last left our heroes, Sadira was about to punish us with a really long story...let's here it now! : It's alright, Sadira...now just tell me what's going on. 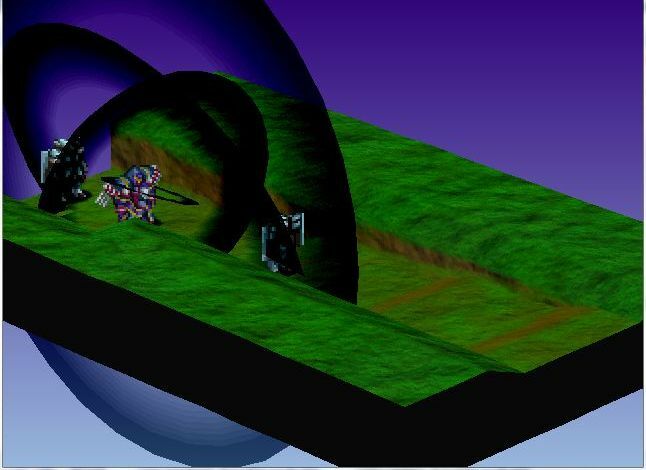 : You've come here to storm the castle. My...home since the day I was born. : And you're going to battle Faulkner. : We're going to DEFEAT Faulkner. 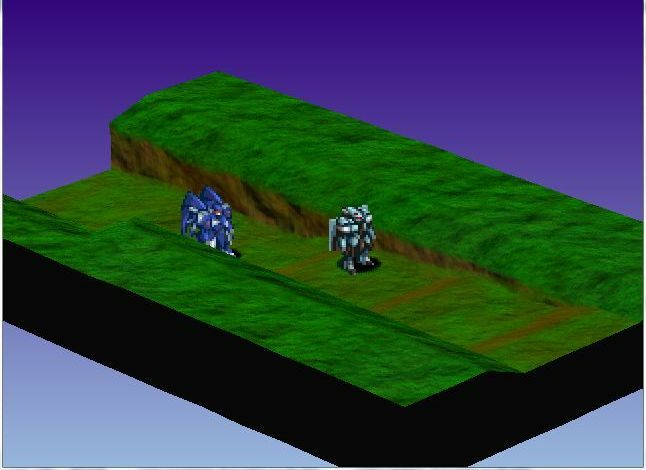 : Bastion...I want to join you. : Sadira! I appreciate the help, but wouldn't you be taking an awful risk by doing that? 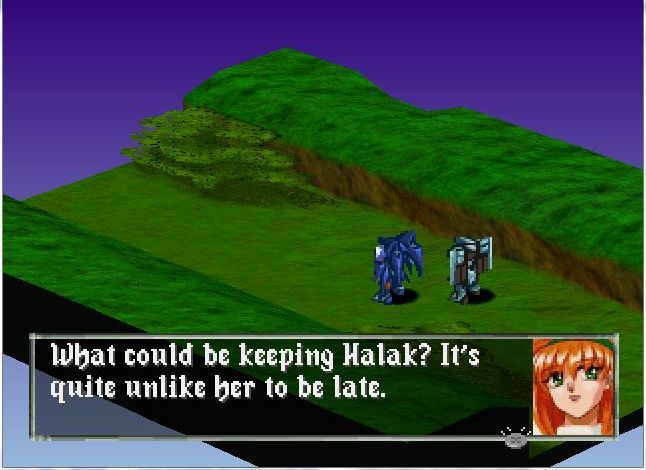 : Very true, Princess...and very ironic, considering how often Halak extols the virtues of timeliness. : Franco, you don't suppose...oh, never mind. I'm always fearing the worst, aren't I? Ah, there's Halak. 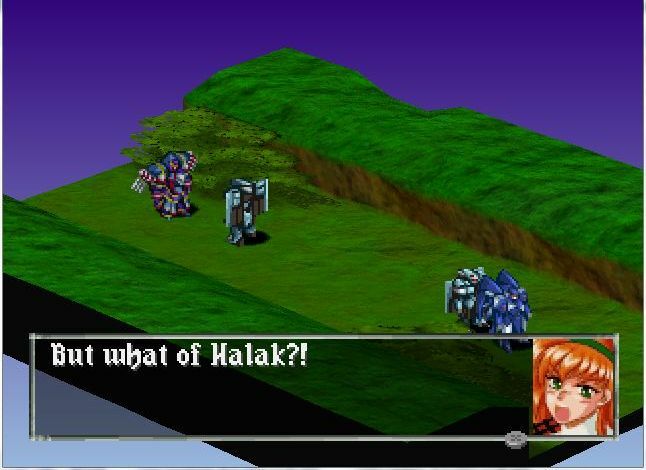 Now, we haven't heard Halak speak yet in this game, but let's just say her speaking pattern....makes me think she ought to be training Bastion in the ways of the Force. : Princess Sadira! Flee this place you must. Quickly! The danger grows. Evil comes quickly. Flee this foul trap! Run, Princess! Run far, far away! : Halak, whatever do you mean? Stop screaming and talk to us! : The time for idle discussion is past, Princess! Flee you must, or evil shall overtake you! He comes...HE COMES!!! : Too late, it is! Oh, Princess...! : What kind of ATAC is that?! : Halak, it can't be--! : It is Zulwarn! The ATAC of evil! The ATAC of blood! Faulkner has drained hundreds of innocents to feed its insatiable lust for the forbidden. : Faulkner can be kept distracted as you flee, yes. But only if you leave now, with no argument or debate! : Nonsense, Halak! I will not run away and leave you at Faulkner's mercy! Nor will I run away from the man who slaughtered so many innocent people! I will defeat him here and now! : Sylpheed has not the power to defeat Zulwarn! Flee! I like how Faulkner is basically just standing around for this entire conversation. : Fly away, Princess! Leave or perish! : No, Halak, I won't do it! : Oh, ENOUGH with the overwrought dramatics. Have you finished saying goodbye to each other? Good, because it's time for me to kill the both of you. I have so much to do back in the capital city, you see. : Yes, Halak! We are leaving Princess! NOW!! Well, she had a rich, full life...that is about to abruptly end. : If my ATAC doesn't have the power to fight Faulkner's Zulwarn...Then how is Halak's lesser ATAC going to survive his assault?! : I highly doubt that it will, Princess, which is why we need to go NOW!! We cannot let Halak's sacrifice be for naught! : Come with us, Halak! We shall escape together! : Must we continue this foolish chase, or will you allow me to kill you and save us both the stress? : Damn it! He's caught up with us! : Halak? What did you do to Halak?! : I begged her to surrender, Sadira, but she stubbornly insisted on giving me a fight. Quite foolish, really. : Get a grasp of the situation, Sadira! Your life, and the lives of everyone in the Empire, are at stake! You cannot allow Faulkner to break your spirit! You have to survive! You have to thwart his evil intent! : Yes, Franco...yes, you're right. : Look for Prince Bastion! He will surely help you to defeat Faulkner! Now leave here! I don't want you to see what Faulkner will do to me! Actually, that is kind of a problem seeing as Faulkner has an army to Sharking to send after Sadira. : What are you doing?! I can't keep Faulkner at bay for long, Sadira! : The old bag can still move? : If Halak survived, I don't have to run. I can fight Faulkner! : Are you stupid, Sadira?! Halak is already dead, as am I! : You already know what you have to achieve, Princess! Now stop wasting time and DO IT! : Leave here now or I'll attack you myself, Sadira! I have run out of patience for your idiocy! : I know you don't mean that! I won't say goodbye to either of you! I know I shall see you again! And Sadira leaves, now you might be wondering how she can tell us the story of things that happened when she wasn't there, but, well....I don't know either. Oh, and Sadira can apparently also have flashbacks to the internal monologues of other characters. : You realize, of course, that I will catch the little brat within a matter of hours. Your bravery is wasted. However, it does allow me the great pleasure of testing another one of the Zulwarn's many features. : I'm so sorry, Sadira. : I don't know if they're alive or dead, Bastion, but if it is the former, I will do anything to save them. And after the atrocities Faulkner has committed against my people, I must punish him. I must kill him. Bastion, I ask you...I beg you...Allow my to join you! Allow me to visit justice upon Faulkner! : I'm sorry, Sadira, but I just don't think that's a good idea. : Why not, Bastion? Tell my why not!! : Please stay calm, Sadira. There's no need to get upset. While we defeat Faulkner, you can locate Franco and Halak. Don't you think that makes more sense? : No, I don't!! Bastion, I'm going to keep screaming until you reverse your ridiculous decision! : Uh, Bastion, in the interest of sparing our eardrums further torment...Why don't you allow Sadira to come along with us? She DOES have a very powerful ATAC. : It's quite unlike you to refuse the request of a woman, not to mention extremely dangerous. : Devlin has a point, however sexist his joke may be. We need as much help as I can get, Bastion. We're hardly in a position to turn down her offer. Are we? : No, I suppose we're not. Alright, Sadira. You may join us. I apologize for my earlier reaction. I just...I didn't want you risking your life as well. I've already lost so many people I care about. Yeah, like Kamorge...and...uh....Thomson, although Bastion was the one who actually killed Thomson....and...Pete! Yeah, there was a character named Pete in this game, right? 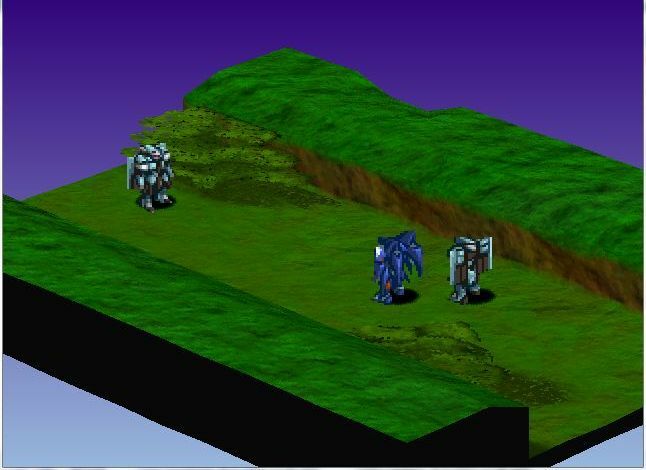 : We all have, Bastion. And that's why we shall send Faulkner into Hell, where he belongs. : Indeed, Zeira. We're going to send him back home. Let's go everyone. Okay, that didn't work as I planned. But, if refusing to let Sadira come forces her into her party, perhaps allowing her to join us will make her go away! : Of course, Sadira. It would be our honor if you joined us. I only wish you had done this sooner! 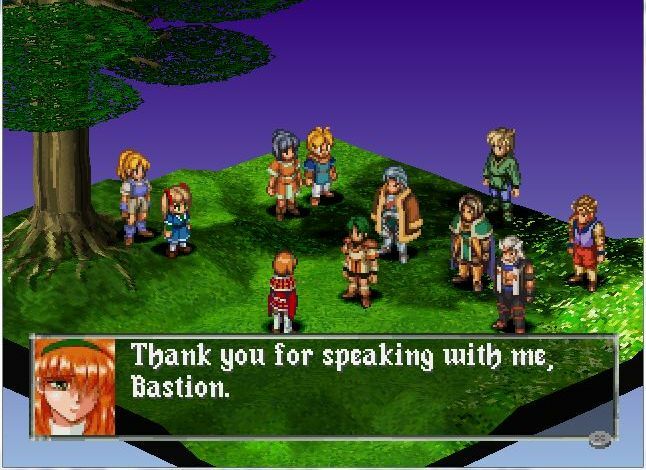 : Are you sure, Bastion? 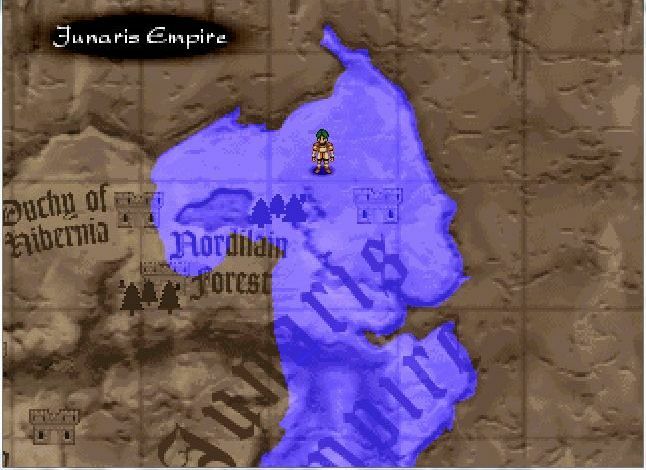 : Does anyone here object to Princess Sadira joining our party? 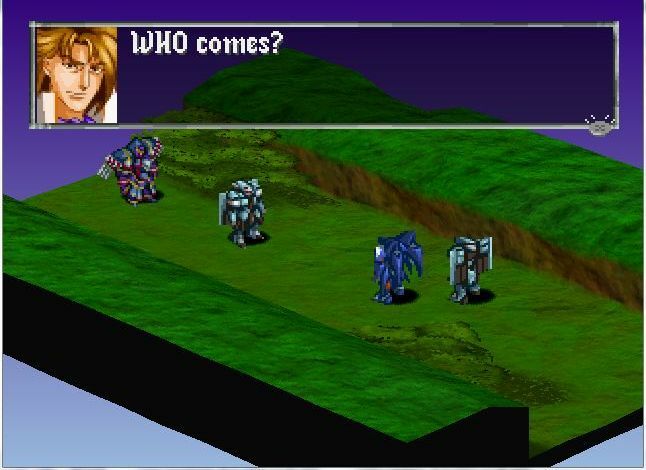 : Why are you asking us, Bastion? Even if we said no, you'd just bring her with us anyway! Am I right? : Yes, you are. In this case, I would abuse my power. : Don't worry about it, Sadira. : Well, Bastion, it's time. 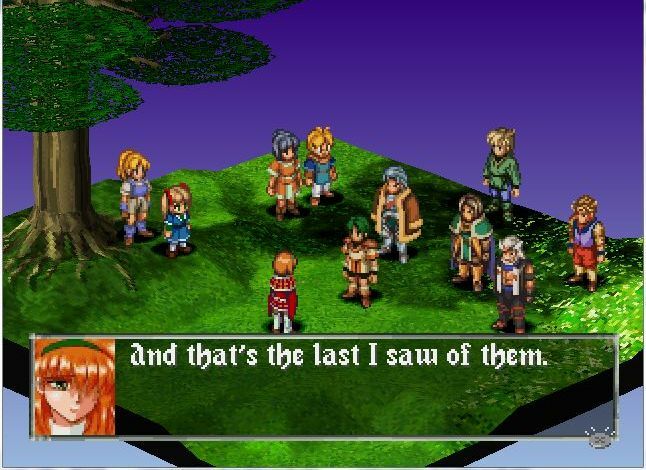 : Yes, Zeira, it is. Let's go everyone. : Let's bring this war to an end. Let's bring peace to the Continent! Let's put a stop to the madness that has infected the Junaris Empire! : Let's bring an end to Faulkner's life! : Here we are, Sadira. The Imperial Palace. You still have time to leave if you wish. : No, Bastion. This is what I want. Next Time: The Power of Heart alternatively saves and/or dooms the Continent!